Total Credit's Pre-Employment Screening offers a comprehensive service aimed at helping employers identify the right candidates while mitigating employment risks. By screening for properly qualified candidates at an early stage, you can prevent potential problems such as poor work performance and unethical behaviours, which leads to inefficiency, lost time and money invested on the individual, and going through the costly process again. Companies should not underestimate the damage one unqualified employee can do to the workforce. By making the right hire, you can avoid negative impact to employee morale, maintain trust within the organization and uphold a good reputation. 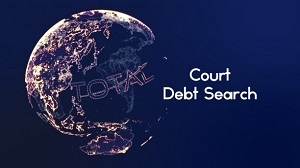 Total Credit will go above and beyond the candidate’s curriculum vitae to search for hidden facts. This includes employment gaps, previous part-time or other full-time positions not listed, and character checks to provide a complete view of the profile. We provide detailed background check to ensure the candidate is who he/she claims to be. We will verify the candidate’s credentials and background, find out if he/she has previous records of directorship, civil litigation, and much more. By using Total Credit, you can avoid any conflict of interest with the candidate, your company, and the recruitment agency assisting with the selection process.